The countdown to Quantum Break’s blockbuster launch on April 5, 2016 continues. With its highly-anticipated release on Xbox One and Windows 10 only a few weeks away, Microsoft Studios and Remedy Entertainment have revealed the official cinematic trailer for the action-packed, modern-day thriller. Set to an original rendition of Nirvana’s iconic song “Come as You Are” – performed by Los Angeles - based electronic rock duo Prep School – the trailer showcases Quantum Break’s protagonist Jack Joyce as he fights for survival in a world where time is broken. With the world on the brink of collapse, Jack must battle the evil Monarch Solutions and its leader, Paul Serene, using the only weapon he has: time itself. Every copy of Quantum Break for Xbox One will come with a full-game download for Alan Wake for Xbox 360, plus its two add-on packs, The Signal and The Writer, playable on Xbox One via Backward Compatibility. Alan Wake and its add-on packs will also be included in the Xbox One Special Edition Quantum Break Bundle, which features a 500GB Cirrus White console and matching wireless controller. Fans who pre-order Quantum Break for Xbox One at participating retailers or through the Xbox Store will receive a full-game download of Alan Wake’s American Nightmare for Xbox 360. 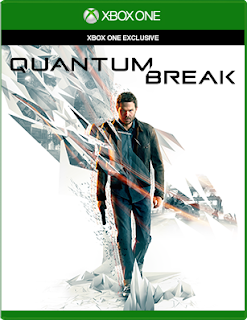 In addition, anyone who pre-orders the Xbox One digital version of Quantum Break through the Xbox Store, purchases an Xbox One digital token at participating retailers or pre-orders an Xbox One Quantum Break bundle that includes the title as a digital download token will receive the Windows 10 version of the game, downloadable at the Windows Store via redemption code. For full details, please visit quantumbreak.com. Quantum Break is a unique experience; one part hard-hitting video game, one part thrilling live action show, featuring a stellar cast, including Shawn Ashmore (“X-Men”) as the hero Jack Joyce, Aidan Gillen (“Game of Thrones”) as his nemesis Paul Serene and Dominic Monaghan (“Lord of the Rings”) as Jack’s genius brother, William. Quantum Break is full of the vivid storytelling, rich characters and dramatic twists Remedy Entertainment are renowned for. Your choices in-game will affect the outcome of this fast-paced fusion between game and show giving the player a completely unique entertainment experience.